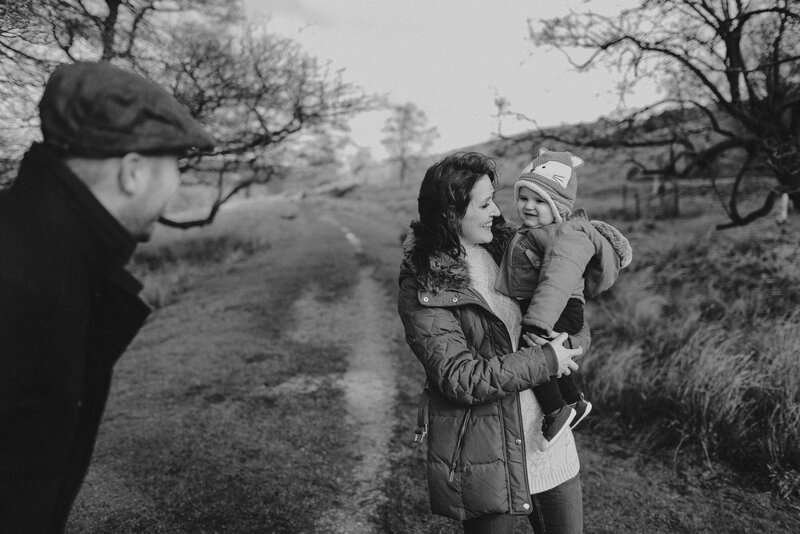 Samantha choose to have an outdoor Family / Maternity Photoshoot in the Peak District with her growing family this March. The weather was a little changeable, but we managed to capture some precious family moments, and we even had some sunny spells. Natural Family photography for us is about capturing the real essence of a family bond. And that is why we encourage family portraits to take place in the great outdoors. Whether it be at a local park, your favourite picnic spot, or the glorious Peak District. It’s always best when working with children not to confine them to a small space, and to allow them to move and play freely (works well with the big kids too). This set of Natural Sheffield Family Photography photographs were taken at our latest Family Photography Workshop at the end of March this year in the beautiful Peak District. Thanks to the lovely Kelly of Boho Weddings, her husband Nick, and their super Son Dexter for being our model family. We love being Family Photographers and are available throughout Sheffield, Yorkshire and beyond.